Thanksgiving takes place on the fourth Thursday of November. If you have friends or relatives in the USA, now is the time to send your cards and gifts - don’t leave it till the last minute! The first Thanksgiving Day was in 1621, when the Pilgrims held a harvest festival to celebrate their first harvest in the New World. 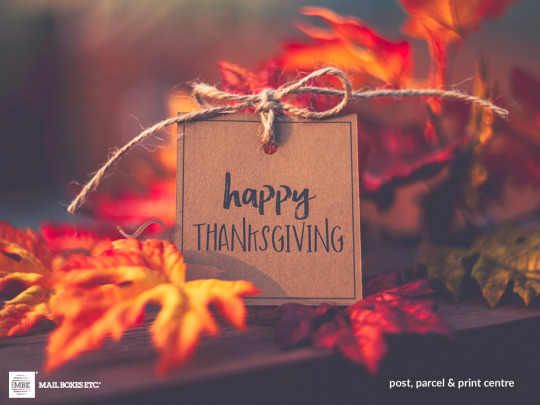 In the US today, Thanksgiving is a time for togetherness with family and friends, with a big Thanksgiving dinner – usually turkey and all the trimmings (in 2015, it’s estimated that 45 million turkeys were consumed on Thanksgiving Day alone). Select the correct courier and shipping method – we work with all the major carriers, including UPS, DHL, TNT, Parcelforce Worldwide and FedEx, and we can help you select the right one for your consignment. We’ll even help with the paperwork and customs forms. 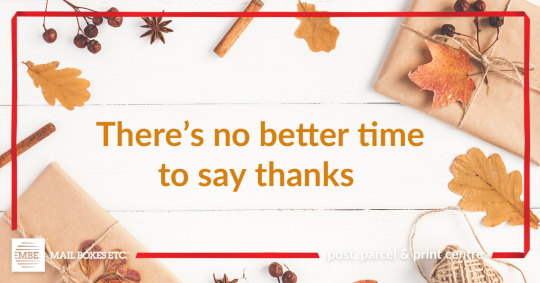 If you want to save yourself some time and have extra peace of mind that your gift is packed securely, then relax and leave it to us to pack instead!